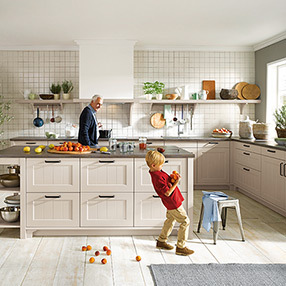 The C Range kitchens collection from Schuller has excellent build quality combined with precise German engineering. 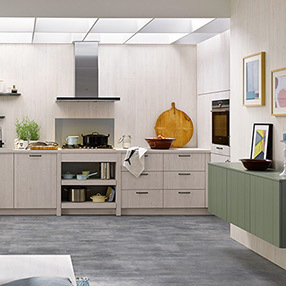 The C Range has a wide variety of door choices including high gloss lacquers, laminate gloss, satin lacquer and wood laminates finishes offering diversity and high quality but with a lower price tag. 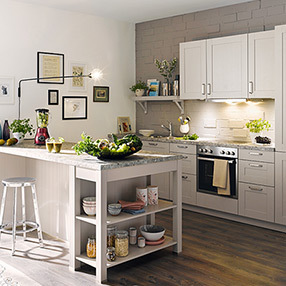 So whether you're starting out, looking for a statement kitchen, or in the prime of your life CNG Design can supply and fit a 'C' range that will meet your needs. 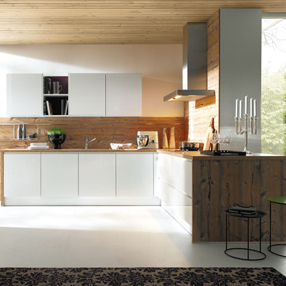 C1: Competitively priced yet still maintains the high quality expected from a Schuller kitchen. C2: More storage available in these cabinets due to the reduced plinth height and greater range of tall and wall cabinet heights. X1: Competitively priced handless design based on the C1 model. X2: This design is based on the C2 model with more storage and handless units. 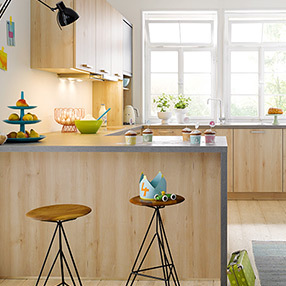 COUNTRY: A traditional country kitchen. 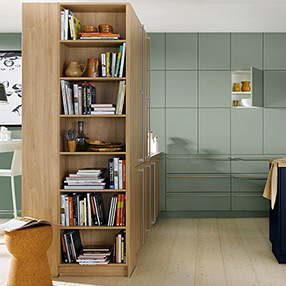 For all different satin lacquer colours. 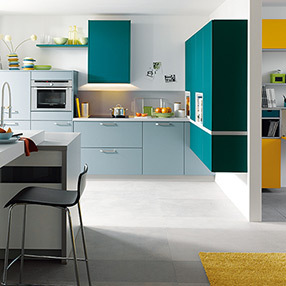 Colour is available for fronts, open shelf units, support panels and plinths. 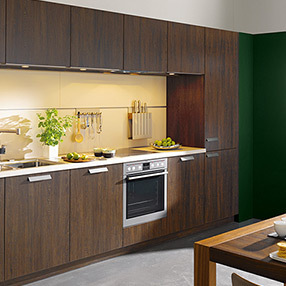 View the Schüller C Range brochure by clicking the button below. 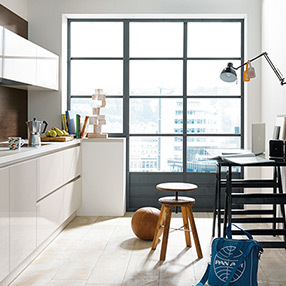 View the Schüller Utility Room brochure by clicking the button below. View the Schüller C Range promotional video by clicking the button below. 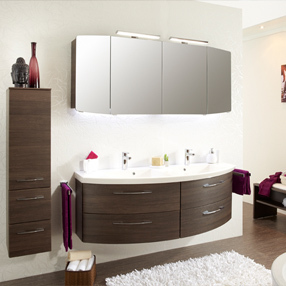 CNG Design offer a free Kitchen, Bathroom and Bedroom design service. 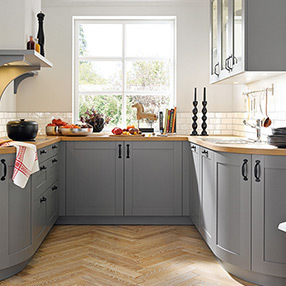 If you are based in Aberdeenshire or Angus you can either arrange an appointment at your nearest showroom or we can arrange a visit to your home. We cover the entire U.K. so if you live outside of Aberdeenshire or Angus then contact us on 01561 377636 / 01241 239537 for more information. CNG Design is passionate about transforming your living space. 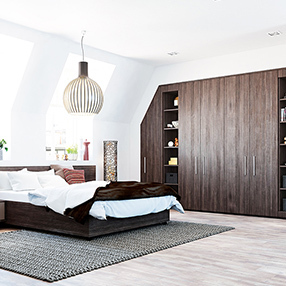 We can arrange the complete package of supply and installation of your new room to save you time and money. Our installers are experienced in fitting all ranges that we supply to ensure the best installation possible. 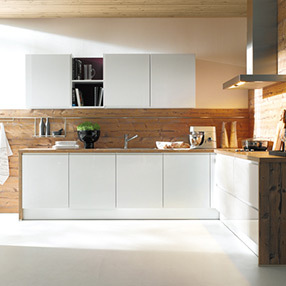 If you require a supply only service of your new kitchen, bathroom or bedroom then we can help. If you already have a quote from another company then contact us on 01561 377636 / 01241 239537. 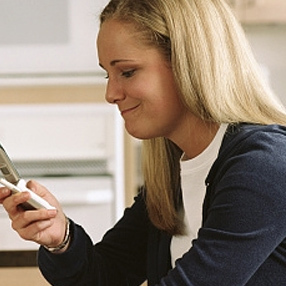 We may be able to provide you a better product for your money. We can delivery any of our products to any part of the U.K.
At CNG Design we strive to provide a quality service. Additional to our quality products and installation service we have the ability to offer 0% interest free credit and take a deposit that suits you. Contact us on 01561 377636 for more information on our finance options. Chris Graham, Sales Director, has been in the design and retail industry for over 13 years. Chris has an excellent eye for detail and enjoys the interior design process. Chris has transformed homes of all shapes and sizes throughout Scotland and the UK. Chris overseas the day-to-day operations of the business that includes sales, design and installation. CNG Design Ltd is a company registered in Scotland under company number SC420038. VAT no. 267730677.